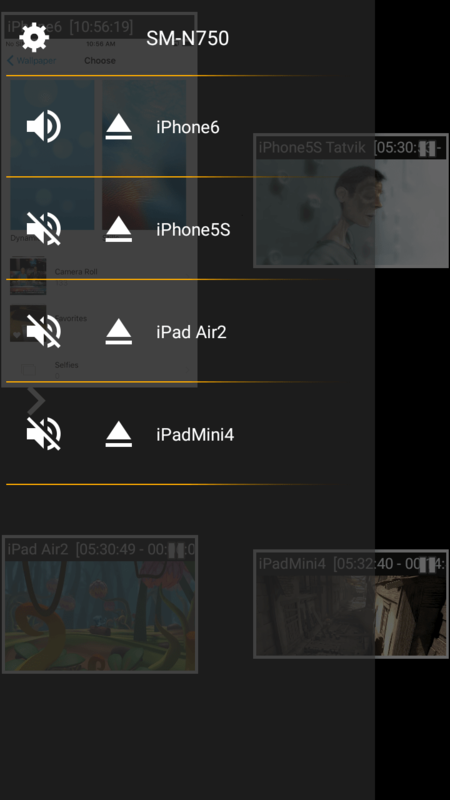 AirPlayMirror is Receiver App on Android for AirPlay Mirroring and Casting from Apple devices. An Apple AirPlay device can be an iPhone, an iPad, an iPodTouch, a MacBook, a iMac, or a MacMini. 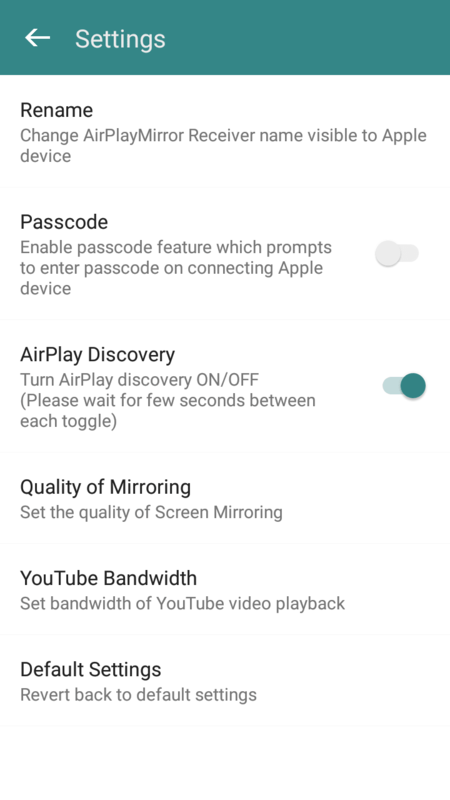 Using AirPlayMirror Receiver, the Android device can mirror screen of an Apple Airplay device or can playback audio/video/photos stored on Apple Airplay device or can play YouTube video link from Apple device over the local network. This is highly useful for sharing the screen and content of Apple device with family, friends, colleagues, customers or business partners. Mirroring of Screen of Apple Devices (iOS version 7.1 to 10). Mirror/cast from up to 4 Apple devices simultaneously. 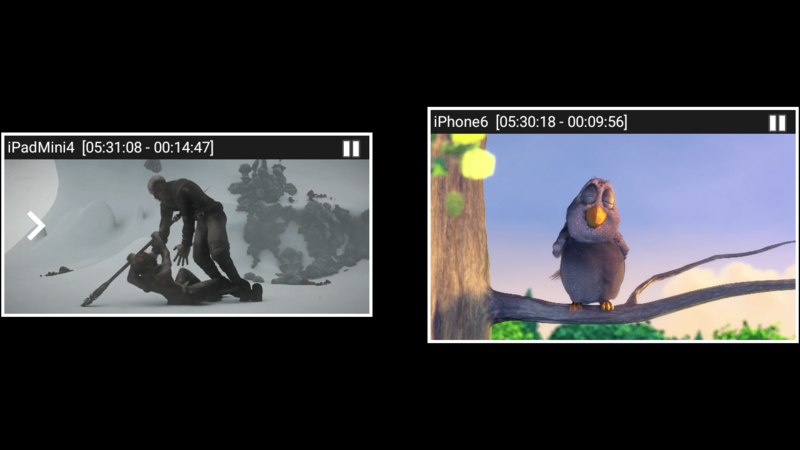 Playback of Apple device’s media content. Slideshow of photos, images and videos of Apple device. Restrict unauthorized user from sharing his Apple device using passcode feature. 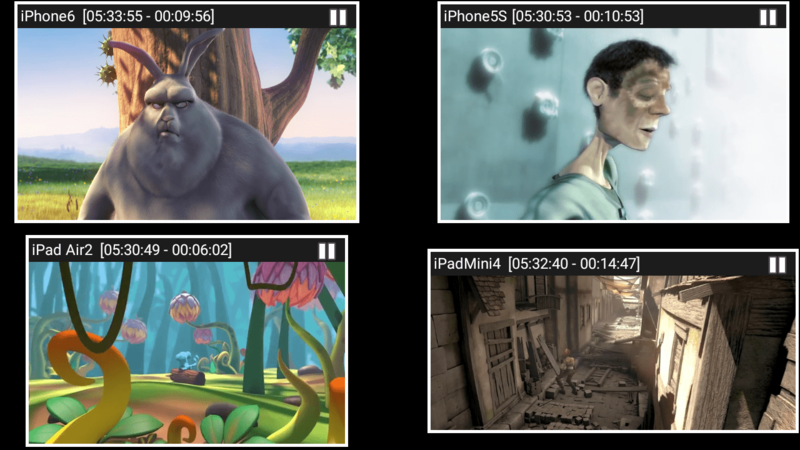 Playback of YouTube free content from Apple device to AirPlayMirror receiver. Resize and move the mirroring/casting window in the App view. Share game screen while playing game on Apple device. Launch AirPlayMirror App on Android Device. The App will start advertising Android Device as an AirPlay Receiver. The default name of the Receiver is Android Device’s name. 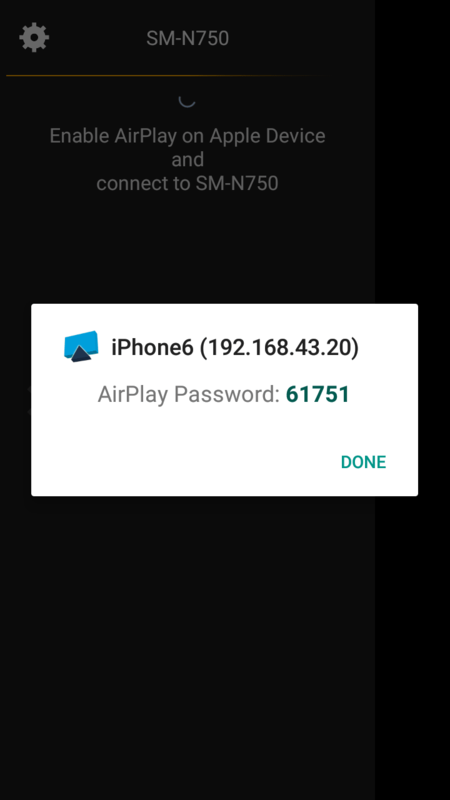 On Apple Device, enable AirPlay and select AirPlay Receiver's name from the list. Enable Mirroring using the slider. The Apple device should be in the same network as the Android Device. One can disconnect Apple device and mute/unmute the mirroring/casting by touching mirroring window in the App for about two seconds, or by going to control screen and perform disconnect and mute/unmute. Touching Settings icon on the control-screen, the user can navigate to Settings, where user can rename AirPlay Receiver's name, enable/disable password for authentication, toggle AirPlay Recever discovery to on/off, change quality of mirroring, set YouTube bandwidth, or reset to default settings. 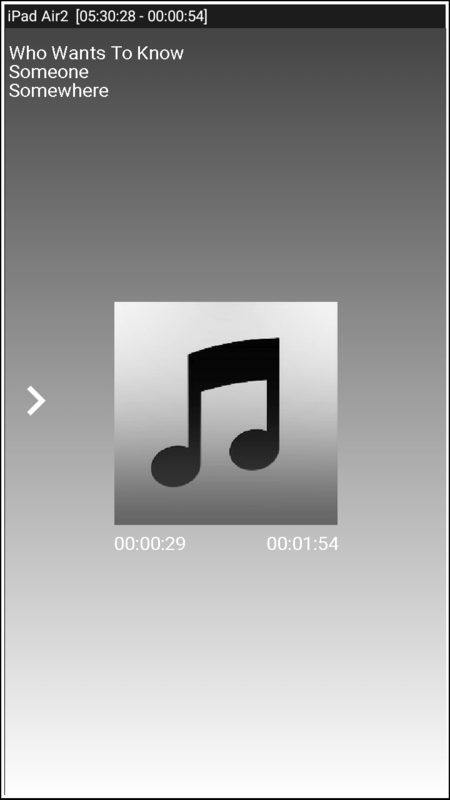 One can also mirror Windows PC to AirPlayMirror receiver by installing application AirMyPC on Windows PC.